Honouring the spirit of CHARRIOL’s founding origins, this luxury Swiss watchmaker now presents a new variant of the CELTICA watch for men. 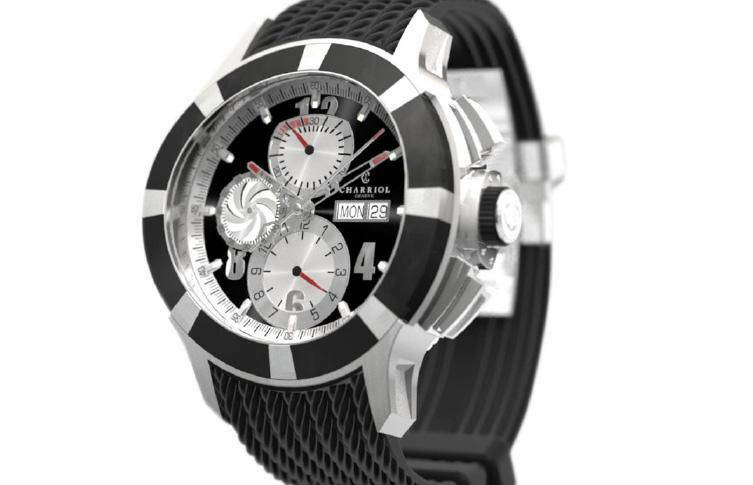 The GRAN CELTICA ™ Automatic Chronograph represents a new generation of active sports watches for this prestigious Maison, with a design that recalls CHARRIOL’s passion for the thrilling values of sports car racing. In a robust 46mm size and with a sturdy, masculine silhouette, the new CELTICA™ variant is an automatic chronograph watch featuring an ETA Valjoux 7750 movement. Its strong personality is upheld in two appealing colourways of stainless steel, black PVD, silver and plum; or in stainless steel, black and racing-car red. 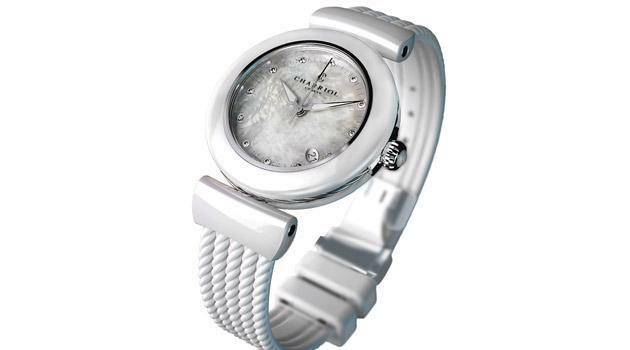 Each version is teamed with a black or anthracite rubber strap engraved with CHARRIOL’s hallmark twisted cable motif. The sporty yet streamlined design is matched with sophisticated detailing: the sun-brushed guilloché black or white dials display intricately worked indexes with a cut-away chevron design tipped in red or plum; these coloured accents are also found on the indexes of the sub-dials. 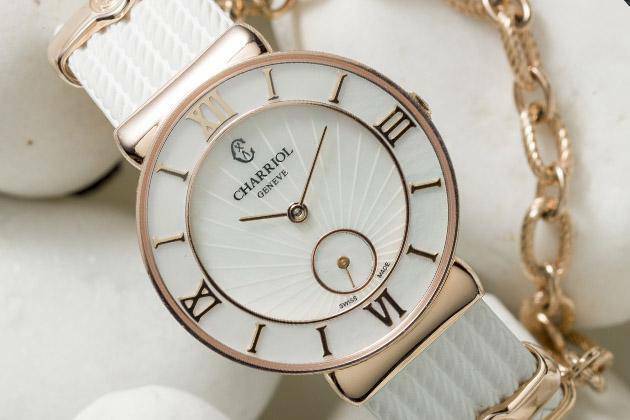 The seconds-hand bears the CHARRIOL ‘C’ insignia and the passing of the seconds is marked with a superb rotating turbine wheel. Bringing movement and energy to the piece, this sporty flourish is inspired by the engine of a Corvette racing car. 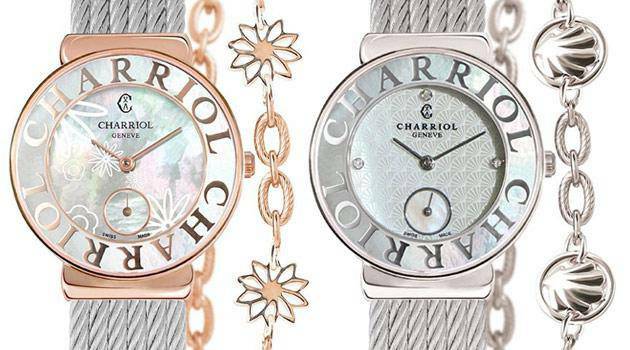 These sporting references recall CHARRIOL’s racing heritage and strong tradition of motorsports sponsorship, with Philippe Charriol himself a keen racing car driver. A natural affiliation with the racing world reflects the entrepreneur’s values of innovation and courage, which are now translated into this bold, virile timepiece. The dial displays Arabic numerals at 12, 4 and 8 o’clock, paired with a tachymeter around the case. Date and day appear at 3 o’clock. 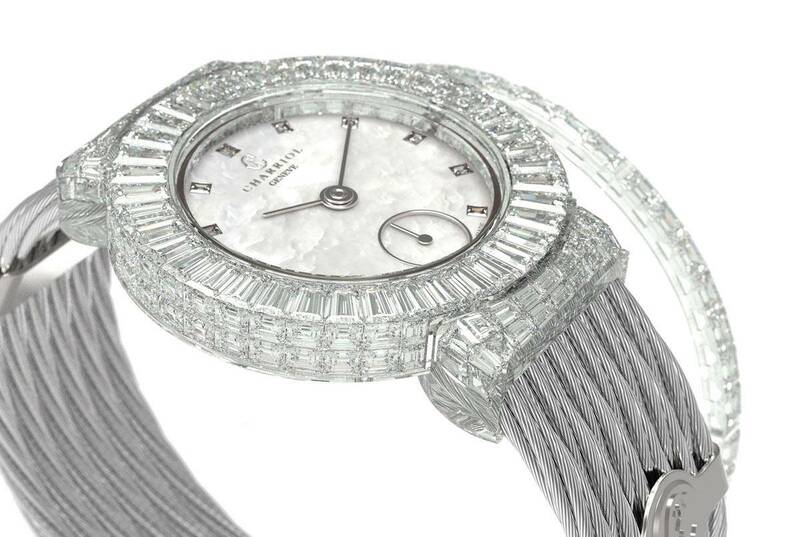 The dial is housed under an exceptional curved glass case, which, depending on the angle of light, appears convex, or concave. The case back, also in glass, showcases the personalised oscillating weight. 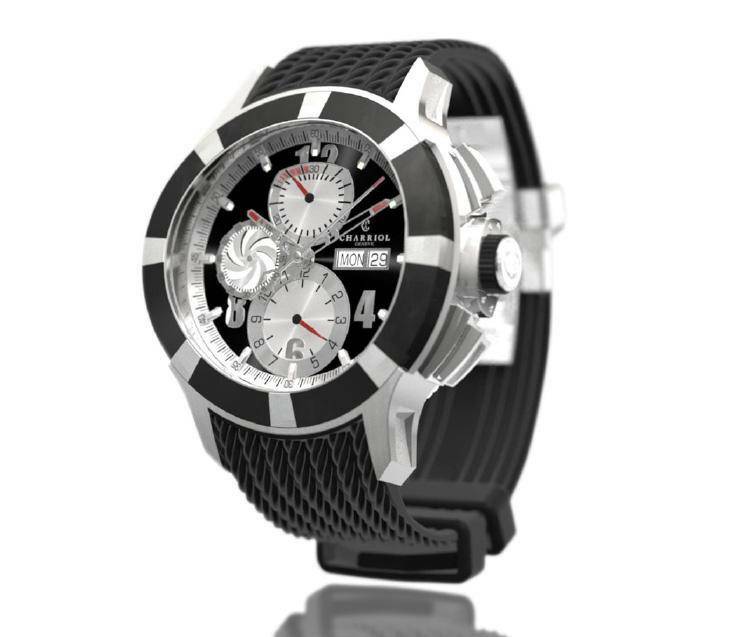 A steel crown with rubber detail and two push buttons contribute to the rugged profile of this true sports watch. Waterproof to 100 metres, with a notched bezel in PVD and stainless steel, the GRAN CELTICA™ Automatic Chronograph is a rare beast: distinguished enough for smart occasions, yet with a robust construction that is tough enough for performance wear.